Super Mario is an iconic game that dates back as far as 1985. Successfully adapting to new audiences over the years, it is well known and extremely popular. Many people should recognize it almost immediately. 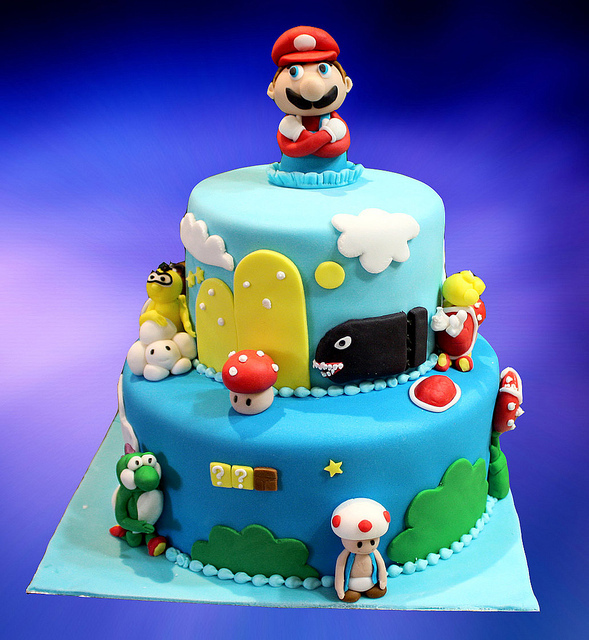 Since it is so widely loved, Super Mario can be a great theme to use when creating a cake for entertaining results. If you’re considering creating an amazing Super Mario cake for your next party or event, then this article can be a great place to learn about baking tips, tricks, and templates that can help you get the results you want. Why Choose a Super Mario Cake? Since Super Mario is such a recognizable game, using it as a theme for a birthday party or event can go over big with your guests. People should be instantly familiar with the elements you incorporate on your cake, which can be fun and exciting for them. Since the game has survived for many years, it can be a great choice for a kid’s party, while also pleasing adults as well. Super Mario is colorful and can have a lot of recognizable elements and symbols involved in the gameplay. This can make it an ideal choice for a homemade cake because there are a lot of options and shapes for you to to work with, and not all the familiar characters and items involved are overly complex. 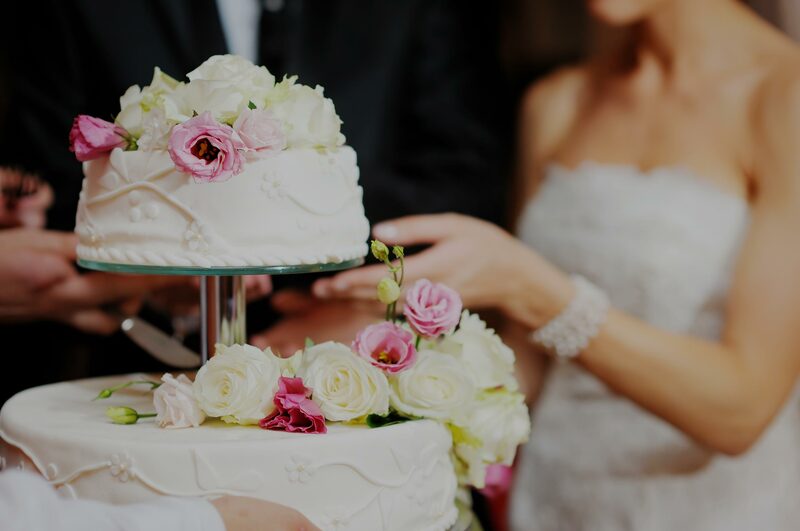 Before you begin thinking about the specifics of how you want to create your cake, it can help to have a general idea of how you want the finished project to come out. You should think about the logistics involved, including how many people the cake will need to feed. This can determine whether you should choose a large or small base to work with. You should also think about how much time you’re willing to put in and how much money you’re willing to spend on any equipment or ingredients that you don’t already have on hand. The advice listed below includes a lot of tips and ideas to help you get inspired, but you shouldn’t feel that it has to be your only resource. Websites such as Pinterest can be a great place to look at images of finished cakes to help give you an idea of what direction to take your project. Looking at other people’s ideas can also give you some new ideas for toppings and arrangements that may not have occurred to you otherwise. 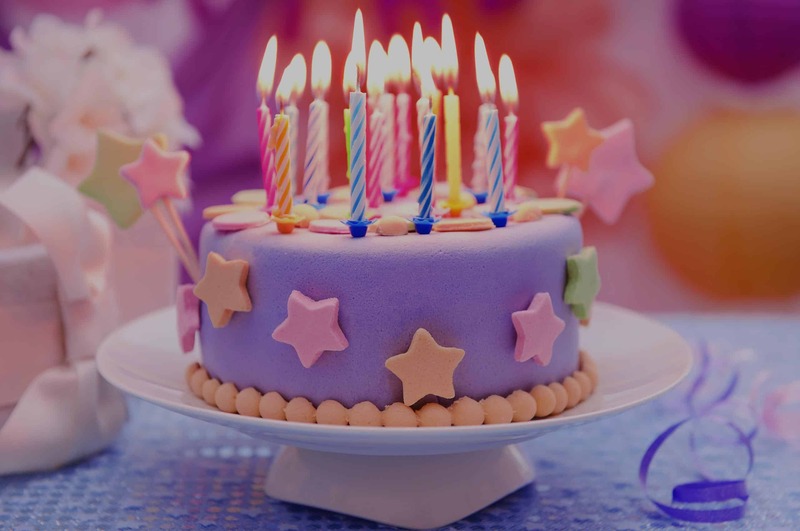 In addition to finding ideas for decorating the cake, you can take advantage of baking websites to get great advice on how to make your dessert taste as delicious as it looks. Before you start worrying about frosting and toppings, you’ll need a great base of cake to start with. By keeping a few things in mind you can start your dessert off right to get a cake that tastes absolutely scrumptious. Choosing the right base for your cake can be an essential part of getting the finished results you want. Not only does the base make up the bulk of your dessert, but it can change a lot about the overall design of the project as well. You should start out by deciding whether you want to create a simple sheet cake design or build a layer cake or another complex shape. If you want to try creating something complex but don’t have much experience with baking, don’t worry. There are plenty of online tutorials on YouTube and other platforms that can help you learn how to create a stunning layer cake. Since Super Mario is such a bright and exciting game, you shouldn’t be afraid to get creative with your base. After you have determined the size of your cake and found the pan or pans that you are going to use to bake it in, you can start thinking about your batter. You can choose between making the cake batter from scratch and using a premade cake mix. While many people prefer the flavor of cake that’s made from scratch, a box mix can work fine if you’re short on time or don’t want to purchase all the ingredients necessary for creating your own batter. If you are creating a layer cake or another design that involves two or more pans, then you can feel free to mix and match different flavors in the different sections. If you’re making a single round or sheet cake, then choosing your favorite flavor or the favorite flavor of the person you’re making the cake for can be a great way to add a personal touch to the dessert. If you decide to use a box cake mix, you can try doing a few ingredient swaps to make it taste very similar to a homemade batter. Instead of using vegetable oil, substitute in butter and use whole milk in place of water for a richer, more delicious cake that is still convenient to whip up. There can be a lot of other ways to get a better taste. Depending on the flavor of cake you’re starting with, you can add surprising ingredients such as pudding, coffee, or even sour cream to get a cake that tastes like it was made by a professional bakery. One of the most fun, and most difficult, parts of baking any cake can be decorating it. Depending on your design, this stage can be as simple or complex as you care to make it. While the first thing that can come to mind when you think about decorating your cake is complex designs. With a frosting pipe, this is far from the only option. You don’t have to be a master froster in order to finished result that is fun and totally recognizable. You can use all sorts of things to make up your design, including candy, fruit, or fondant. 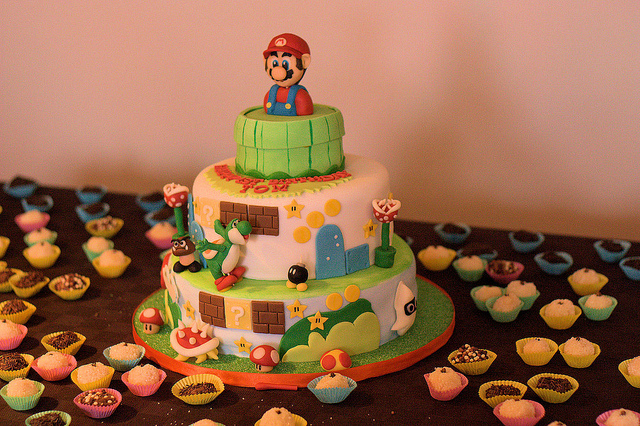 Fondant can be especially useful for a Super Mario cake. Because you can use it to create the detailed parts of your design. A moldable frosting, fondant isn’t the best for taste. As far as decorating goes it can’t be beat for the level of control it gives you. One idea is to put a base layer of buttercream or your favorite frosting on the outside of cake. Then create decorations from the fondant to place on top of the frosting. You can also do the same thing with other toppings to help them stick on better. 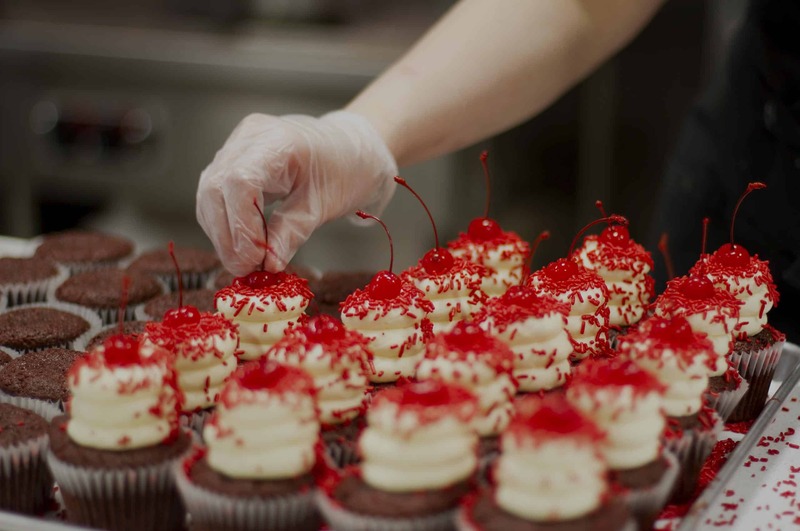 If you have some experience with frosting designs or are willing to try something new. Then it can be a good idea to practice a bit before piping onto your cake. You can practice creating your idea by piping the frosting onto a clean plate to see how it looks. And how much control you have over it. After you’re finished practicing, you can simply scoop the frosting back into the bag. If you have time, you can even bake an entire practice cake in days or weeks before the party. 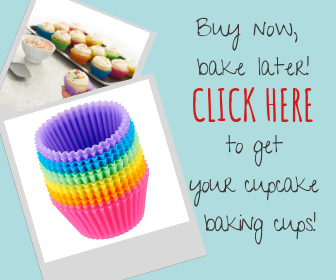 This can help take pressure off you while baking for the actual event. Because you’ll have a better idea of what you need to make the finished product come out right. If you don’t have time to do this, don’t worry. You should still be able to get a great looking cake on the first try. As long as you take your time creating it. How you present your finished product makes all the difference. By displaying your cake on decorative plate or platform. Make it look that much more delicious to your guests. Since Super Mario is such a popular game. You may even be able to find themed paper plates, napkins, and cups to go with the cake. If you can’t find items that specifically feature game, then you can choose solid colors that match the cake. It may sound cheesy. It’s true one of most important things to do while creating your Super Mario cake is to have fun. Getting stressed just isn’t worth it when it comes to creating a dessert. You should find that if you enjoy the process. It comes out much better than if you fret about the details. Don’t be afraid on online to find ideas and adapt them in order to make your cake unique. 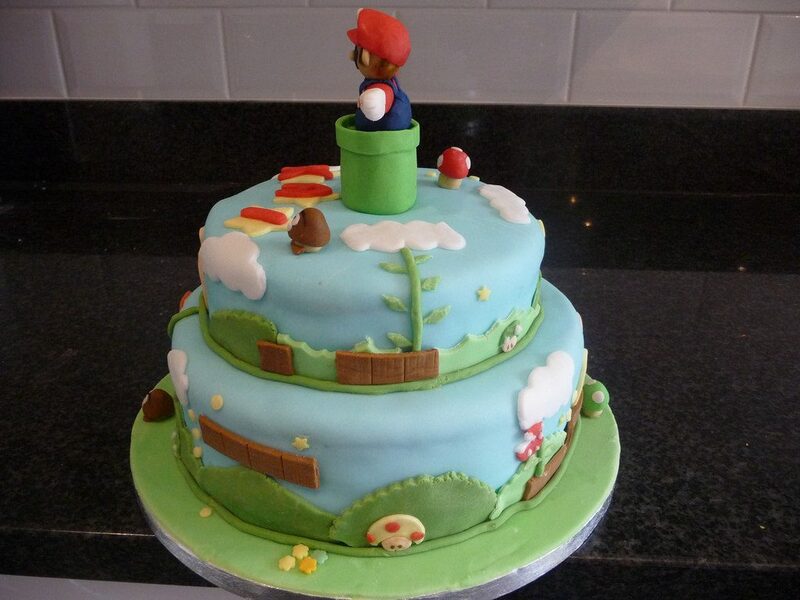 There can be a lot of creativity involved with baking a cake, and choosing Super Mario as your theme. You should find there are tons of fun elements for you to incorporate into your finished product.